The 39th Annual FAAMA Convention and "Managing the Skies Expo" is scheduled for November 3- November 7, 2019 at the beautiful Green Valley Ranch Resort in Las Vegas, Nevada. The annual event gathers FAAMA members with leadership from across the country to connect as friends, build new relationships and collaborate toward advances in the industry. Although we face constant change and challenges as managers within the FAA, we are not alone. Every year FAAMA Leadership and members come together at this event to face the current challenges head on. The FAA Managers Association is engaged, informed and considered a valuable, trusted resource by aviation leaders both inside and outside the FAA. There will also be opportunities during the "Managing the Skies Expo" to meet Corporate Aviation Industry suppliers and gain information, education and technology solutions that provide guidance and support for your role as a manager. The FAAMA Convention theme for 2019 is "Becoming the Greatest Show." To become the greatest show we must consistently celebrate our strengths, honestly evaluate our weaknesses, make plans to overcome the obstacles, and work together to make this happen. After registering, you will also need to reserve your resort rooms separately to take advantage of our discounted group rate. Be sure and read the Registration Policy to receive all of the potential benefits of the FAAMA 2019 Convention. Please call if you require room nights outside of the convention dates as you may experience availability problems booking these nights online. 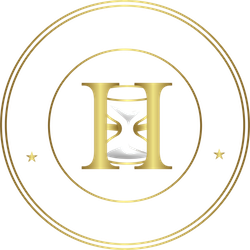 Copyright © Hourglass T & E. All rights reserved.